Workers who stay in employment beyond 66 would defer the full pension but claim higher payments when they finally do retire under a scheme outlined by the OECD. The international think tank warns the Irish pensions system is too "basic" and should offer more flexible payments. These would offer lower payments for those who keep working beyond 66, with the reward that they would receive higher benefits once they are fully retired. 'Pensions at a Glance 2017' said more reforms are needed across OECD countries to cope with the impact of an ageing population, more inequality among the elderly and new work practices. It said that the pace of state spending on pensions is expected to slow, but recent reforms will lower the income of future pensioners. There should be more provision for people who stay at work beyond the retirement age, allowing them to push back their pension but get higher payments once it kicks in. However, it said only about 10pc of Europeans aged 60 to 69 currently combine work and pensions. The report noted that the Irish State pension pays the same benefit to everyone no matter when they retire. In this respect, it said the system creates no incentive or disincentive to work longer or part time. But it said "at the same time, there is no possible way to smooth pension payments by, for example, allowing claimants to claim lower initial benefits and combining these with wages". It also noted the State pension offered no flexibility in relation to early retirement, which was not possible under any circumstance. "In the United Kingdom, for example, early retirement with a lump sum is possible from the age of 55 for men, 10 years prior to the normal retirement age when the basic components can be claimed," it said. "In Ireland, individuals can retire at age 50 with the defined contribution pension, but the basic pension cannot be claimed before the age of 66." Although some people are in defined contribution schemes, many workers here just rely on the State pension. 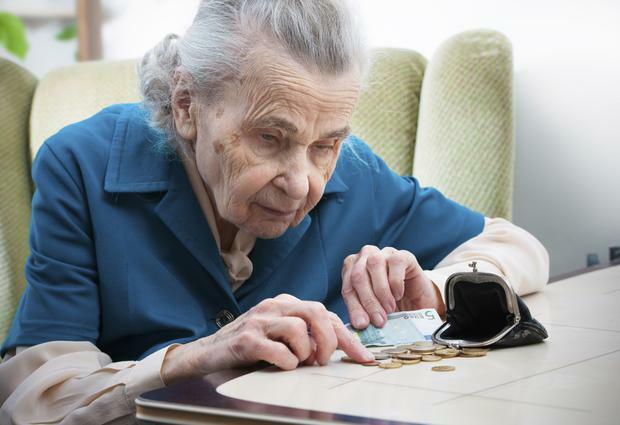 Age Action spokesman Justin Moran said the concept of lower State pension payments for semi-retired workers to boost their income down the road was "an interesting idea". "We would have long argued for greater flexibility in giving older people more control over their pensions. This deserves to be investigated." He also said allowing for early retirement is a good idea as there are jobs like construction and homecare that take a physical toll on workers. "Those who put forward the idea of extending the retirement age are more often than not people who are working in offices, not these types of jobs," he said. The report also said that public pension payments were low in Ireland, the UK, Canada and the US. OECD secretary-general José Ángel Gurría Trevino said bold action by governments was needed to meet the challenges of "financial sustainability and pension adequacy". "The world of work is changing fast and policymakers must ensure decisions made today take this into account and our pension and social protection systems do not leave anyone behind in retirement," he said. However, the report was not completely negative about Ireland's pensions set up. It said that voluntary pension plan coverage was high in Ireland, at above 40pc. It said Ireland was one of seven countries to alter the pension tax rules by scrapping the tax levy that was introduced during the financial crisis.